Between 1785 and 1812, a midwife and healer named Martha Ballard kept a diary that recorded her arduous work (in twenty-seven years she attended 816 births) as well as her domestic life in Hallowell, Maine. 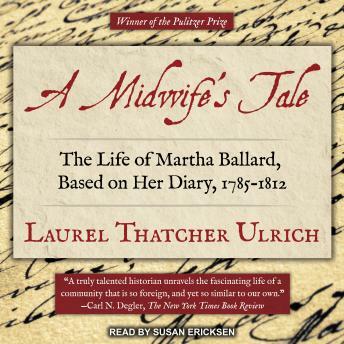 On the basis of that diary, Laurel Thatcher Ulrich gives us an intimate and densely imagined portrait, not only of the industrious and reticent Martha Ballard but of her society. At once lively and impeccably scholarly, A Midwife's Tale is a triumph of history on a human scale.